Teaching any child to read may seem like a monumental task. There are good days, and there are not-so-good days. There are major milestones and there may be a few setbacks. When working with a child who has Dyslexia, the task becomes even more challenging. You must make sure that the strategies and skills that you are using to support them will help them to overcome their unique needs. 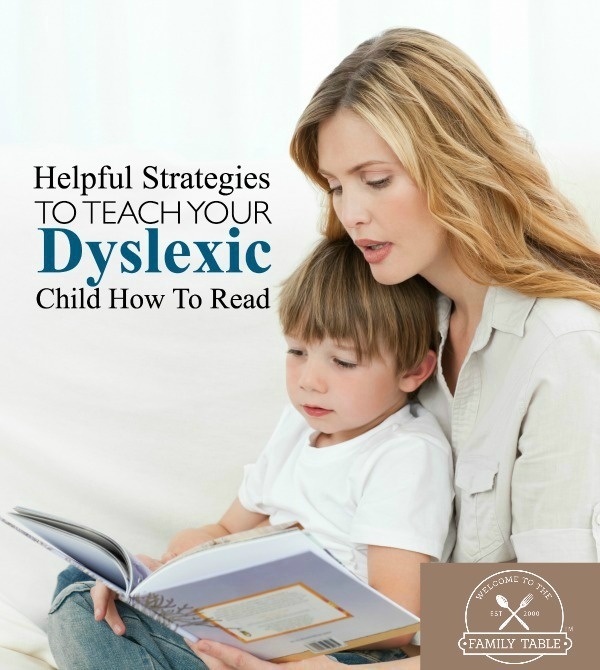 Here are some helpful strategies to teach your Dyslexic child to read. One of the best things that you can do when working with your child is to understand how he/she learns best. This means knowing what setting is the best learning environment for him/her. Do they need complete silence, or will a little bit of noise help to keep them going? Providing the correct setting for him/her will help them to be successful. You also, through working with your child, will discover how they learn best. Does he/she obtain information better when it’s taught visually, by hands-on activities, or by listening? Once you’ve discovered the ways in which your child learns best, you’ll be able to develop tools to use as you work with them. While working on individual letter sounds, putting together (and breaking apart) words isn’t the most exciting activity, you can try to tap into your child’s interests to make it more interesting. Once you’ve practiced a target sound, read a story together that is highly interesting for your learner, and allow her to find that sound embedded in the text. Every child (those who have Dyslexia and those without) works at a different pace and is in a different place. Don’t allow your child to compare themselves to friends or siblings…and make sure that you are steering clear of it as well. By working with him/her and supporting them as they develop their reading skills, your child will grow and develop their ability to read. In your teaching, as already mentioned, you must first find ways of presenting information that are effective for your child. Once you have found those strategies, use the same methods each time you present a new skill. Utilize tools that you have created for each new letter sound and practice each new skill the same way that has helped your child master the ones that came before it. By using the same strategies, your child doesn’t have the added challenge of having to learn new routines. While not everyone is able to homeschool their children, one of the beauties of homeschooling is that there is no need to stick to a given calendar or hit certain skills at a set time. Before moving on to new skills, make sure that your child has mastered each of the others that you’ve taught. By helping your child to find (and celebrate) each success in the learning process, you’re also helping to build their confidence in their ability to read. The same strategy can be applied with those who are not homeschooled as well. Be sure to work closely with your child’s teacher and other specialists making sure to fight for your child’s right to a proper education – not just pushing them along for the sake of progress. When your child is ready, they will let you know. And this will help preserve their love for reading. When things get tricky in in teaching your dyslexic child to read (and they will), know that you are doing an incredible thing for your child. Remember that you’re providing a support for your child that he/she cannot get anywhere else and that they will be a stronger reader because of you. As you move forward in your work with your child, show them that you are confident in the work that you are doing and are equally as confident that they will become an amazing reader because of the work that you’re doing together. 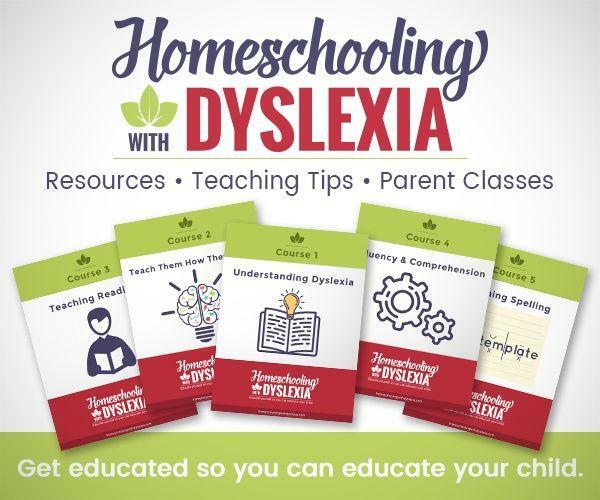 Do you know of other helpful strategies to teach your dyslexic child to read? Please share your tricks of the trade!